This collaboration within the framework of OP-Zuid is focused on the development of an interregional campus eco-system and accompanying key-infrastructure for the conversion of renewable raw materials to biobased building blocks. 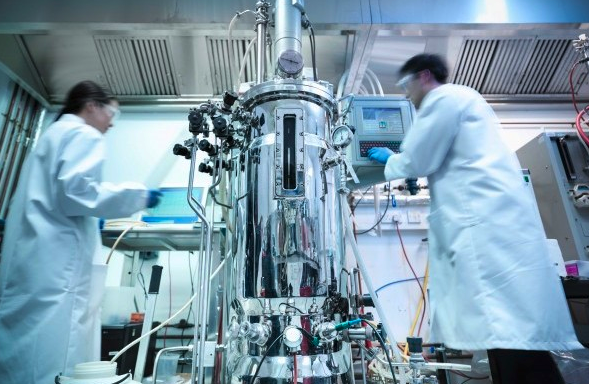 Within the SCeLiO-4B project a testing-ground of affordable and broadly accessible infrastructure for biobased chemistry is created on the Brightlands Chemelot Campus in Geleen and the Green Chemistry Campus in Bergen op Zoom. The available equipment facilitates and accelerates research, scaling up and development of bioaromatics, lignin depolymerization products for fuel applications and platform chemicals and compounds with new functionality based on furfural and HMF. The research activities are supported by an education and training program and business development activities which offer entrepreneurs the opportunity to further grow their potential and move from laboratory to pilot plant scale. The establishment of a joint testing-ground will give an impulse to businesses and employment in Limburg and Brabant. The project officially started in May 2015 and will run for 4 years. The InSciTe Lignin RICHES project and the InSciTe Horizontal project are part of SCeLiO-4B. Link to press release.